Arthritis is the inflammation of one or more joints characterized by severe pain, swelling and limited movements of the joint. 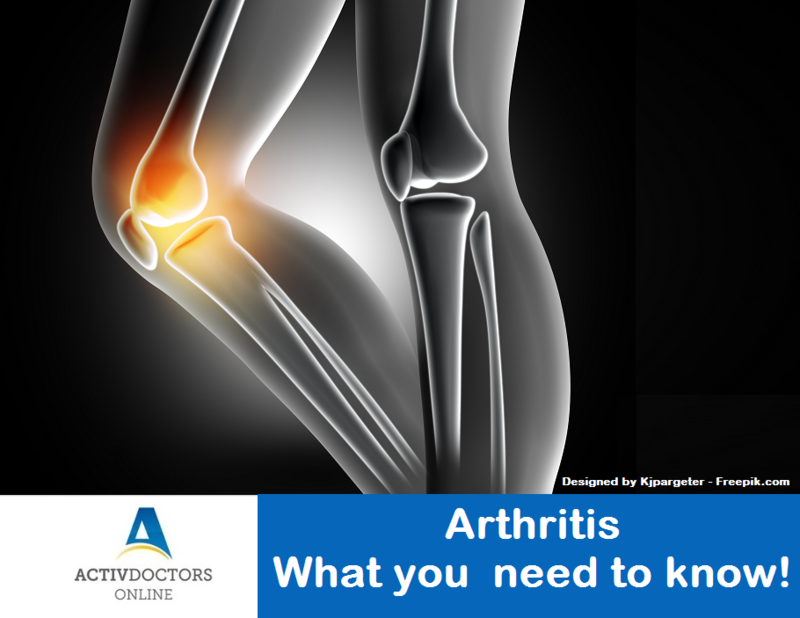 Despite being a very common condition, Arthritis is quite poorly understood. Arthritis can involve any joint, most common being the knee joint in the elderly, smaller joints like finger joints in case of Rheumatoid arthritis. Risk factors of Arthritis – Though Osteoarthritis is age related, there are certain risk factors associated with arthritis. What can be done once diagnosed with Arthritis? No doubt, medicines form the mainstay of treatment once you consult your Doctor, however Arthritis can be prevented from further worsening by following guided exercise program to strengthen the joint. In some cases, surgery is often recommended in case the symptoms do not alleviate over a few weeks. Arthritis is not fever or common cold to disappear within 2 to 3 days with a few medicines. Arthritis takes time – days, weeks or sometimes even months to subside. Be more than well. Be well prepared and take precautions – consult a Doctor for detailed advise.